A statement said updates will be issued when warranted. HOUSTON — Former first lady Barbara Bush has been hospitalized in Houston with a respiratory-related issue. A statement Tuesday night from the office of her husband, former President George H.W. 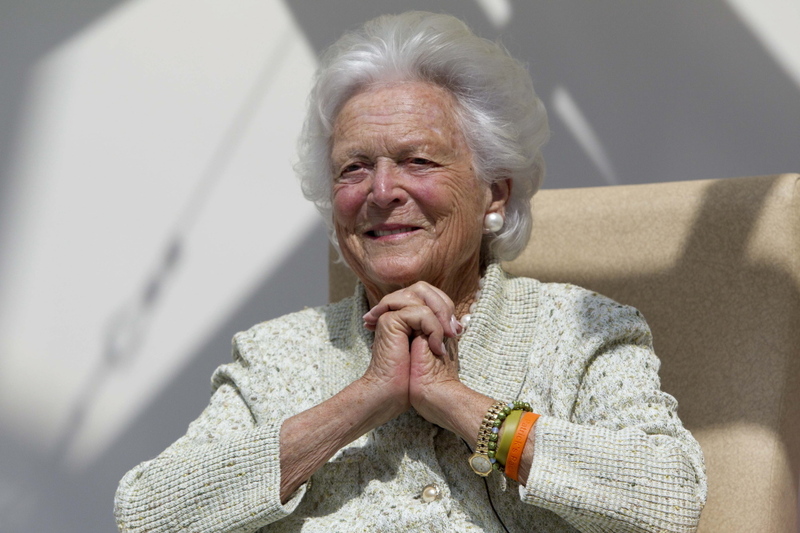 Bush, said she was admitted to Houston Methodist Hospital on Monday. The statement says the 88-year-old is “in great spirits” and is getting “fantastic care.” The statement says she’s received visits from her husband and family. The statement said updates will be issued when warranted. Just last week, Mrs. Bush and her husband, the 41st president, honored a Houston businessman and philanthropist with a Points of Light Award, a volunteer service award started by the former president. The Bushes’ have a home in Houston, as well as Kennebunkport, Maine.